In today’s candidate-driven market, employees are more likely to quit their jobs and hop onto another opportunity. Holding on to those employees, particularly those that are among the organization’s top talent, is looking to become one of the biggest challenges facing organizations in a hot labor market. What can organizations do to retain those employees? For Staci Johnson, VP of Marketing with Roth Staffing, the answer lies in the marriage of HR and marketing. Organizations must “continue to ‘recruit’ existing employees” just as much as you recruit external candidates. In order to do that, organizations are going to need to take a look at both their HR and marketing departments and understand where the two meet. Traditionally, marketing and human resources (HR) are very distinct and separate functions of an organization, says Johnson. Marketing communicates with the consumer of the organization. Marketing is in charge of advertising, branding and design, trade shows, style guides, social media, press releases, flyers and websites, among other things. Human resources on the other hand communicates with the employee of the organization. Human resources are in charge of job descriptions, employee handbook, sourcing strategies, open enrollment, new employee orientation, conflict resolution/coaching, and employee social events. 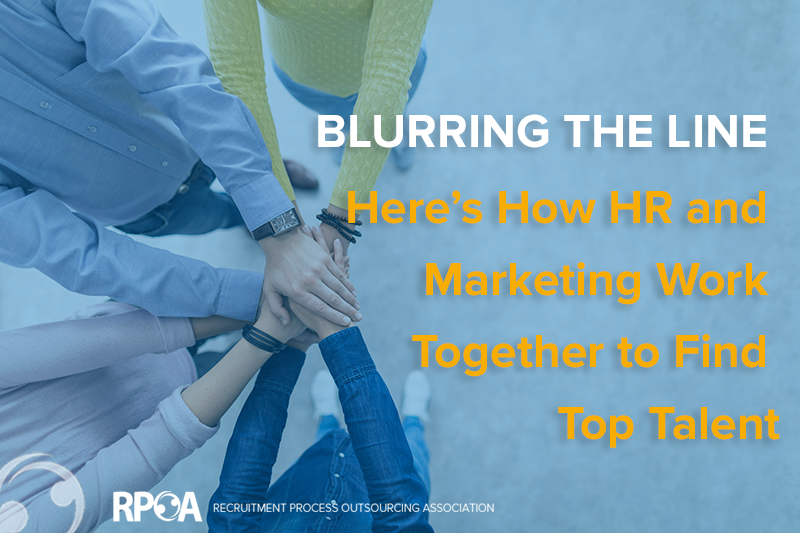 The lines between marketing and HR are blurring, says Johnson, particularly since both have similar objectives applied to different audiences. Marketing is responsible for business branding: the perception of the organization by customers and stakeholder in the marketplace. HR is responsible for employer branding: the perception of the organization as an employer by candidates in the outside world and existing employees in the inside world, Johnson explains. Organizations that have an effective employer brand have put intention and strategy behind it and typically reap the benefits. According to Glassdoor, 83% of candidates look at online reviews, social media conversations, and LinkedIn profiles of staff before applying for a job. However, employer branding is not only about attracting candidates. As a matter of fact, Johnson argues that attracting candidates should only be 10% of your employer branding strategy. The other 90% should be spent on hiring and onboarding, and employee engagement and retention. Applying marketing strategies to your HR department takes time and effort, but Johnson does offer a few pieces of advice that can get your team rolling. Job posts are often the first point of contact a candidate has with your organization, and in turn, your brand. As Johnson notes, there should be little reason your job postings don’t match the marketing prowess demonstrated by your marketing team. 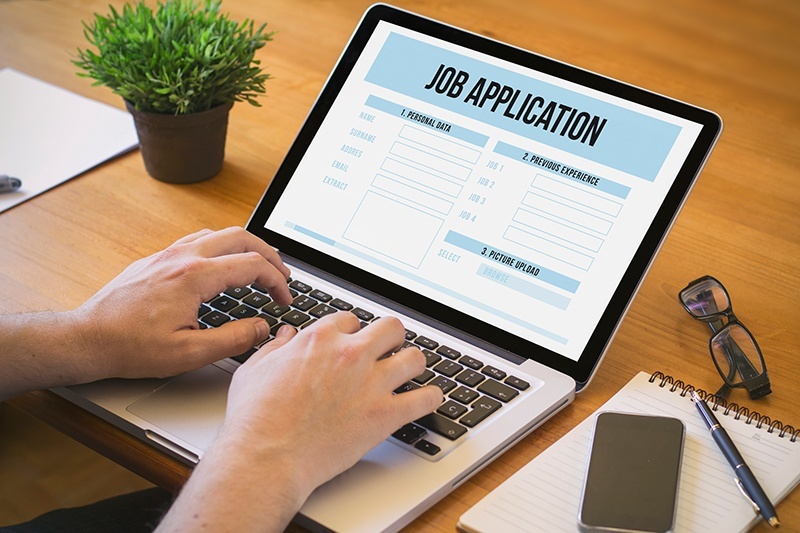 How your job ad looks in combination with which job boards it is posted on says a lot about your company and what sort of candidates you want to attract. Video testimonials are an excellent way of capturing the enthusiasm in your organization and showing it to potential candidates. Videos don’t have to shot with particularly expensive equipment either – a cell phone camera can work perfectly fine, Johnson advises. Combine these with your social media posting (and run them by marketing) to let candidates know just how great it is to work at your organization. If you find that your new HR and marketing techniques are doing a great job of drawing interest to a position, you need to make sure the office and culture actually reflect what is being portrayed in the marketing. As Johnson notes, if you make promises of a coffee bar, happy hours, and opportunities to work from home, they certainly need to be actually offered. Welcome boxes are a gift that About Talent enjoys giving to new hires and they are always very well received, says Johnson. They can include simple gifts such as a welcome card and mug, to items that will help the employee do their job better, to even gift cards. All illustrate to the employee (and candidates) that they are valued and appreciated. What does it take to recruit as a marketer? When aligning your HR and marketing internally, the most accessible route is to work with your marketing team directly. Your marketing department is already familiar with your culture and brand, and you can count on them to be consistent with the rest of the company’s messaging. The downsides to working with your marketing team is they’re often swamped and have other priorities on their table, notes Johnson. If your marketing team is too slammed, you might instead consider hiring an HR marketer specifically for this purpose. The sole task of the HR marketer will be to apply your existing marketing strategy to the HR department, blurring the lines between HR and marketing, says Johnson. This member can also lend a hand in both departments should the need arise. Of course, if you don’t have the bandwidth to support a new hire, this option may not be available. If you want to get the ball rolling on HR marketing but don’t have the means to do so internally, try turning to a recruitment process outsourcing (RPO) provider, says Johnson. An RPO, particularly one that you are already working with, is already going to have knowledge of your internal policies and procedures, knowledge of your workforce needs, and an understanding of your culture and brand messaging. Make sure to do your research when leveraging an RPO – not all RPOs specialize in HR marketing, and those that do typically charge additionally for that service. Finally, if your organization doesn’t feel an RPO is the way to go (or your existing RPO doesn’t have the experience), you can contract a marketing agency. Marketing agencies have the experience and skills to deliver with stellar results. Of course, this experience and skill means you’ll be paying a price commensurate to that experience, and you want to find a partner whose approach to marketing aligns with your brand.